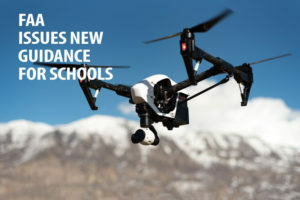 Let’s face it schools in California hold out as one of the last places for open space and that means people love to fly their drones on your campus. Having a policy prohibiting drones is great, but without signage who would know? The FAA has published standard signage and images to prohibit drone use in certain areas. By using these images you can provide a coordinated front against drone use on your campus. Check out the FAA’s free “No Drone Zone” signs and images. Next Employees will soon know air quality better than you. Upgrade your IH program now.